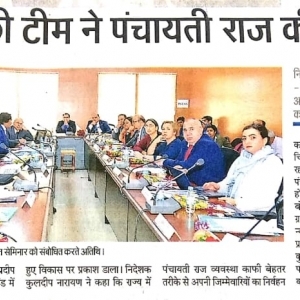 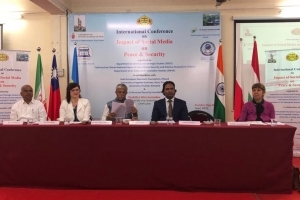 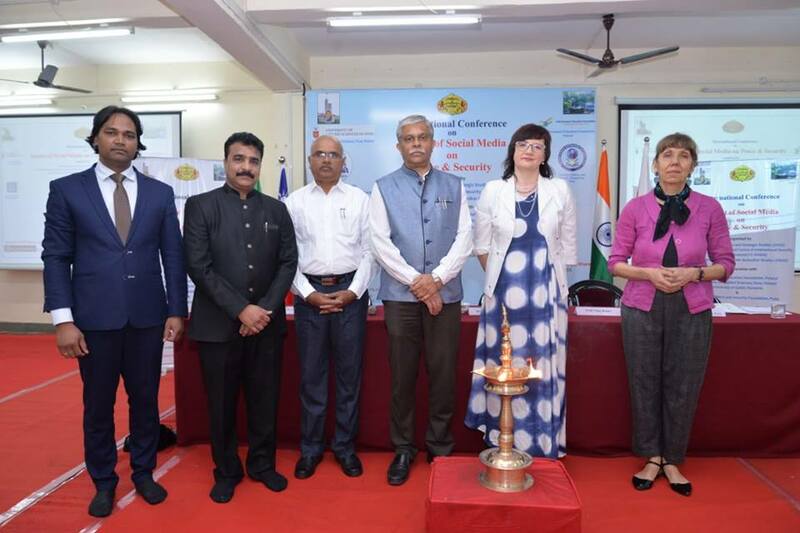 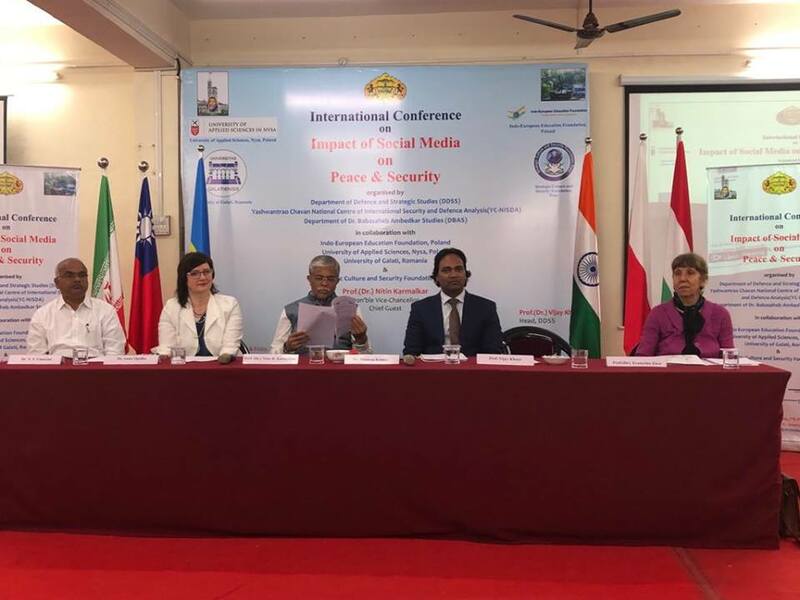 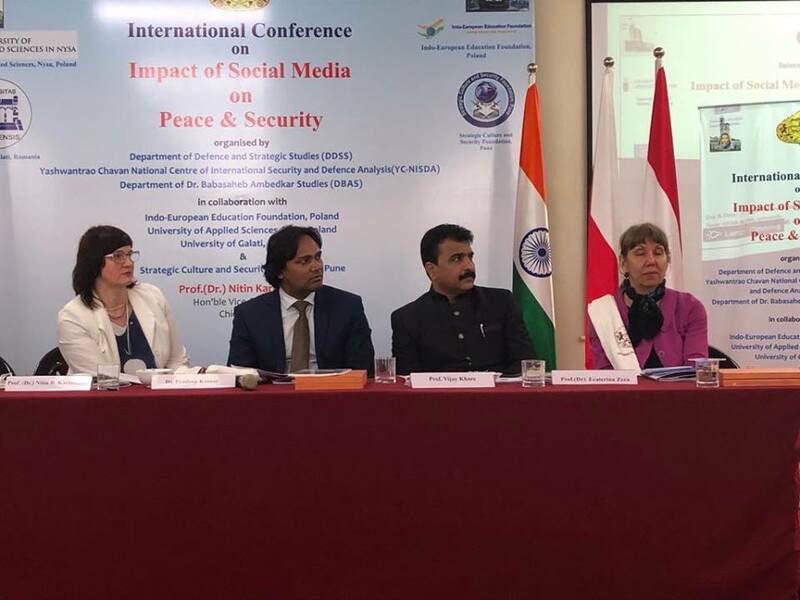 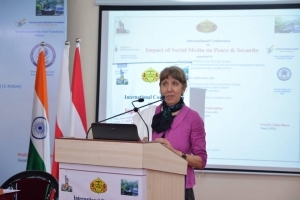 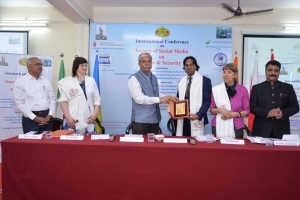 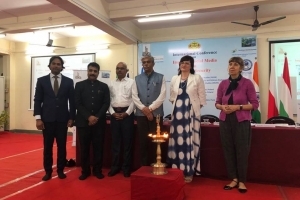 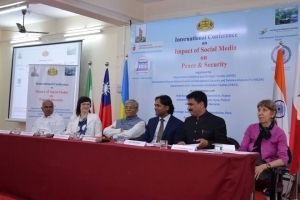 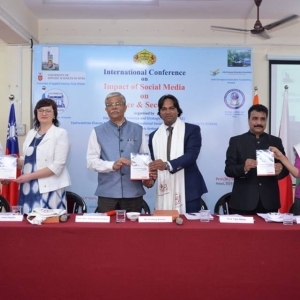 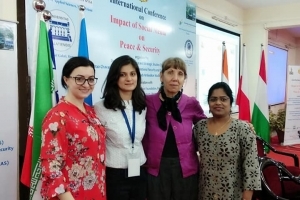 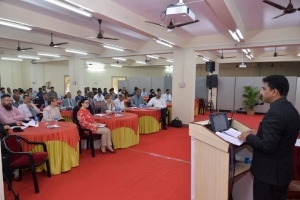 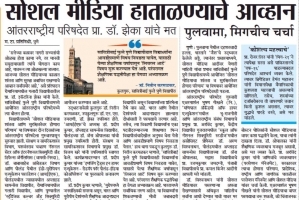 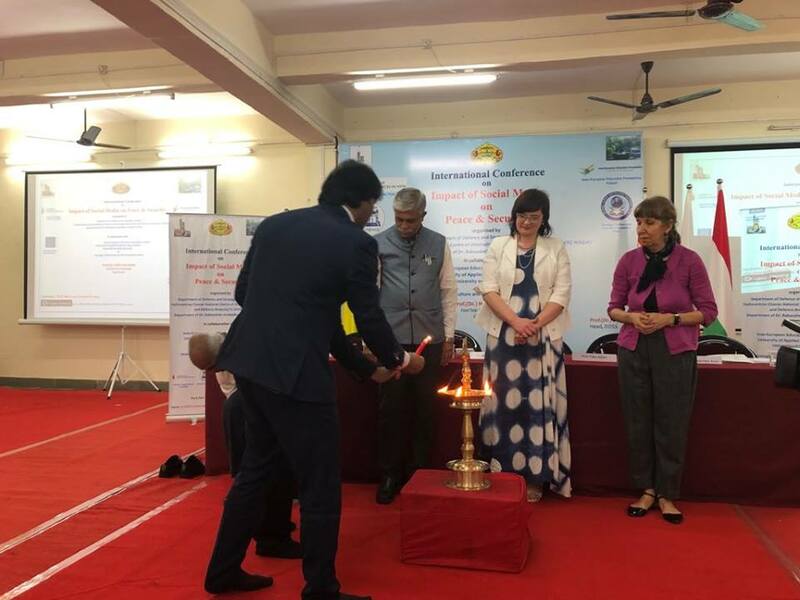 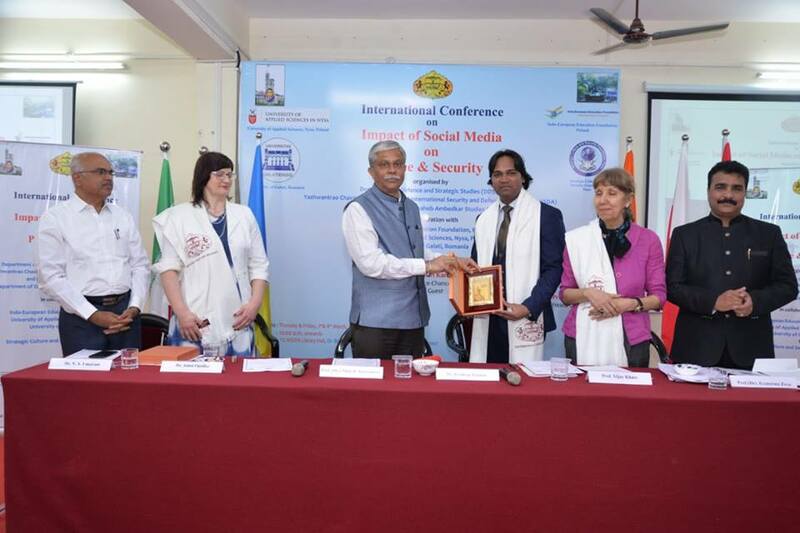 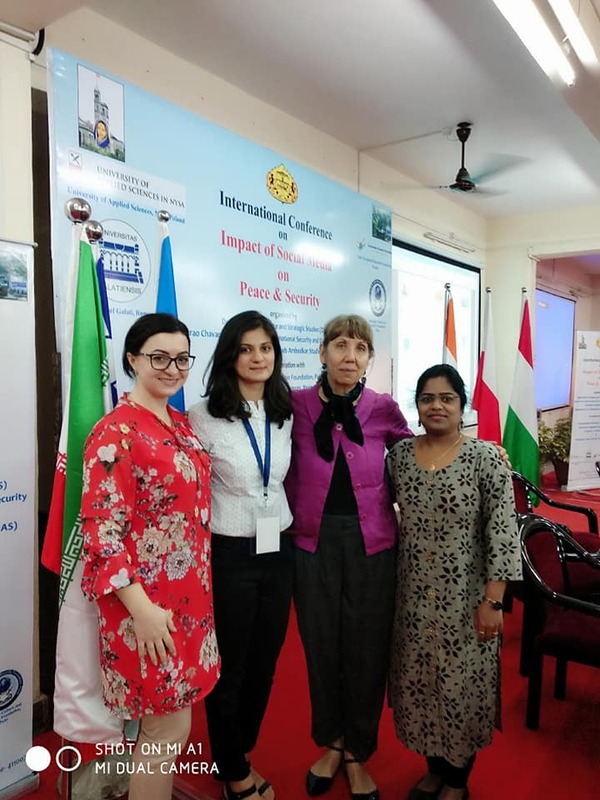 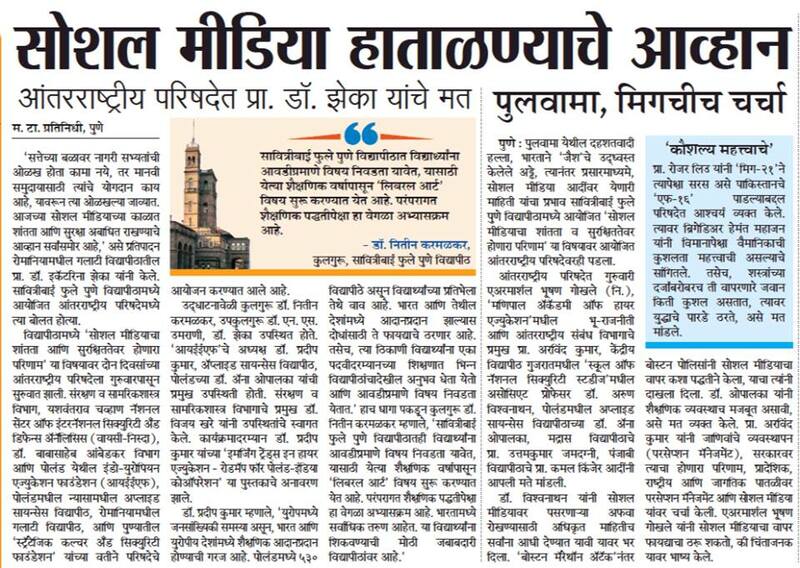 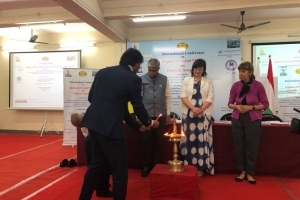 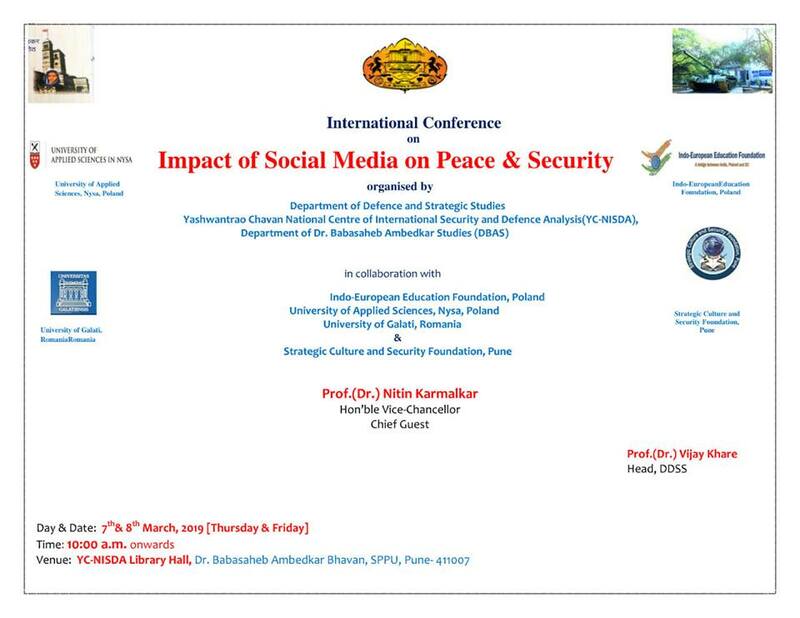 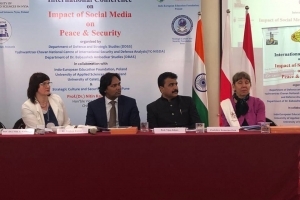 A two-days International Conference on, “Impact of Social Media on Peace & Security” was inaugurated on 7th March 2019 at the YC-NISDA Library Hall, Dr. Babasaheb Ambedkar Bhavan, Savitribai Phule Pune University (SPPU). 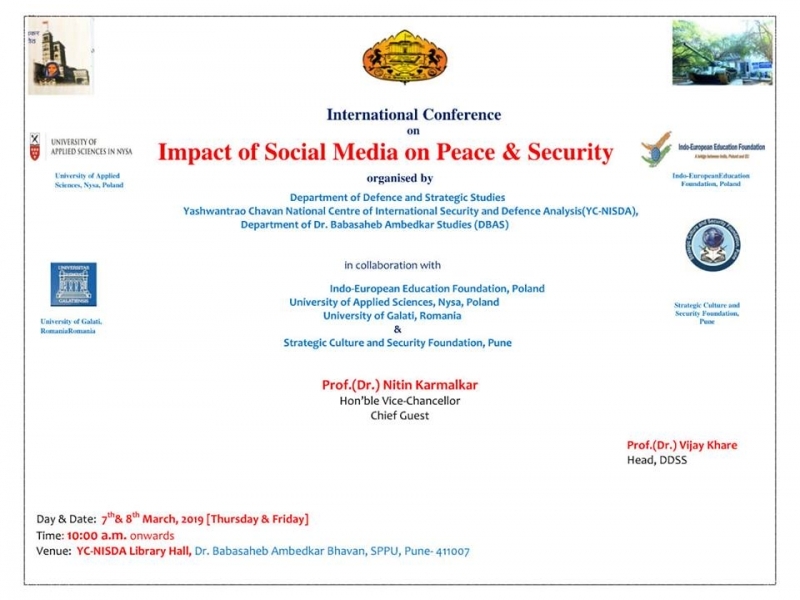 Conference were organised by the Department of Defence And Strategic Studies (DDSS), Shavitri Bai Phule Pune University in association with Yashwantrao Chavan National Centre of International Security and Defence Analysis (YC-NISDA), Department of Dr. Babasaheb Ambedkar Studies (DBAS), in collaboration with Indo-European Education Foundation (IEEF), Warsaw, Poland; University of Applied Sciences in Nysa, Poland; University of Galati, Romania and Strategic Culture and Security Foundation, Pune, India. 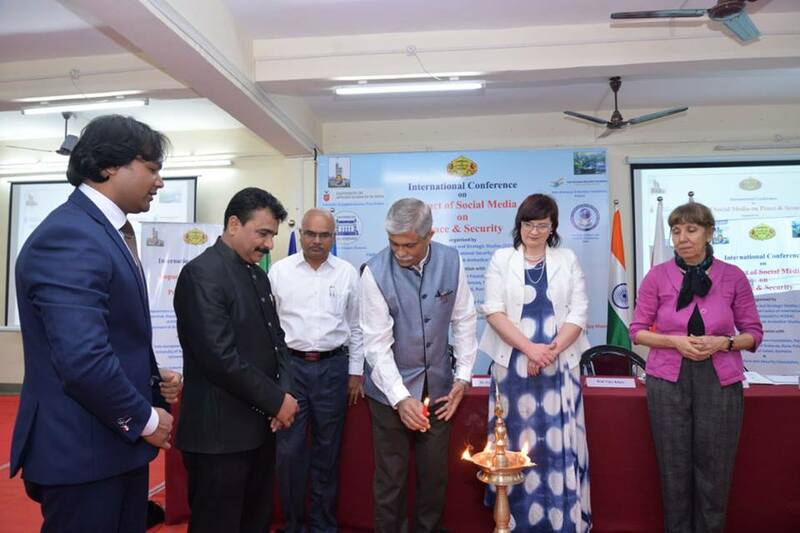 The Hon’ble Vice-Chancellor, Prof (Dr.) Nitin R. Karmalkar was the Chief Guest; Hon’ble, Pro-Vice Chancellor, Dr. N.S. 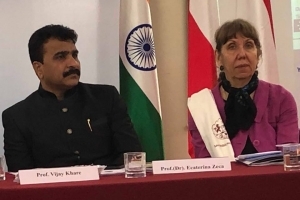 Umarani was the Guest of Honour. 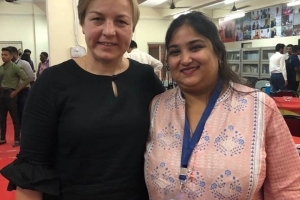 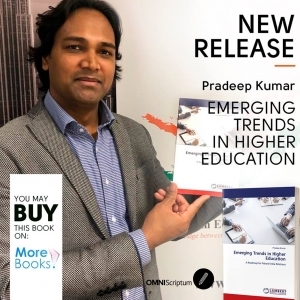 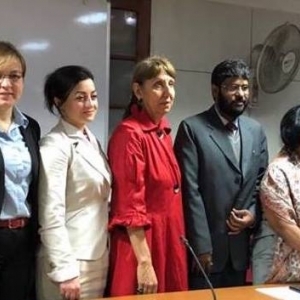 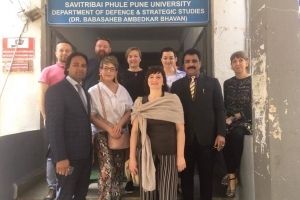 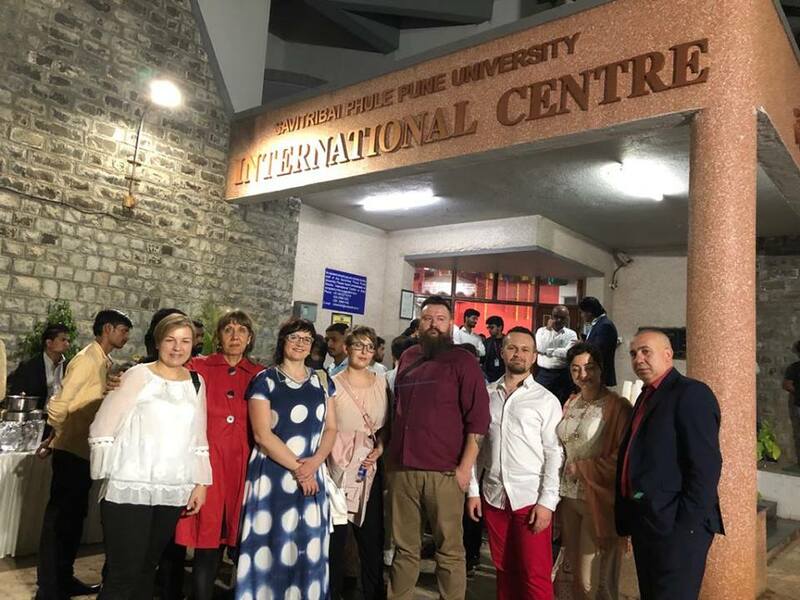 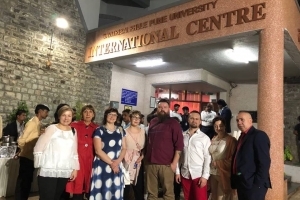 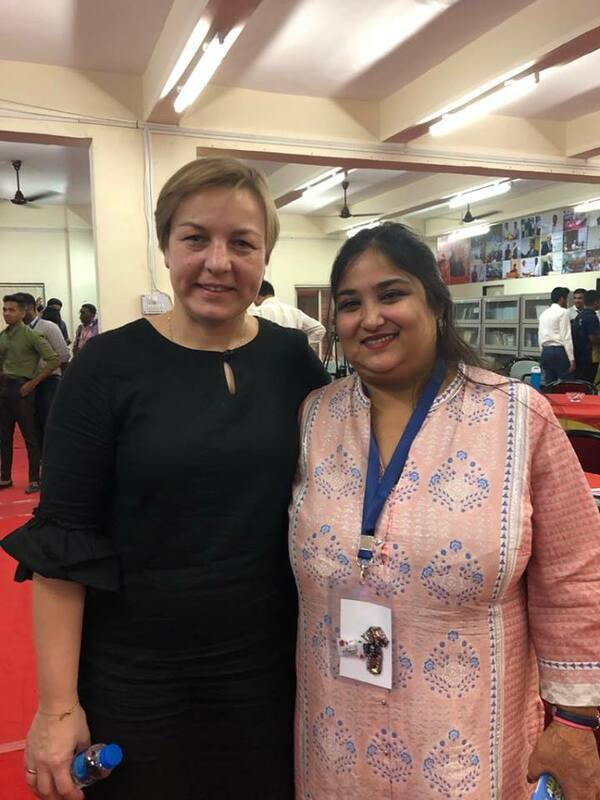 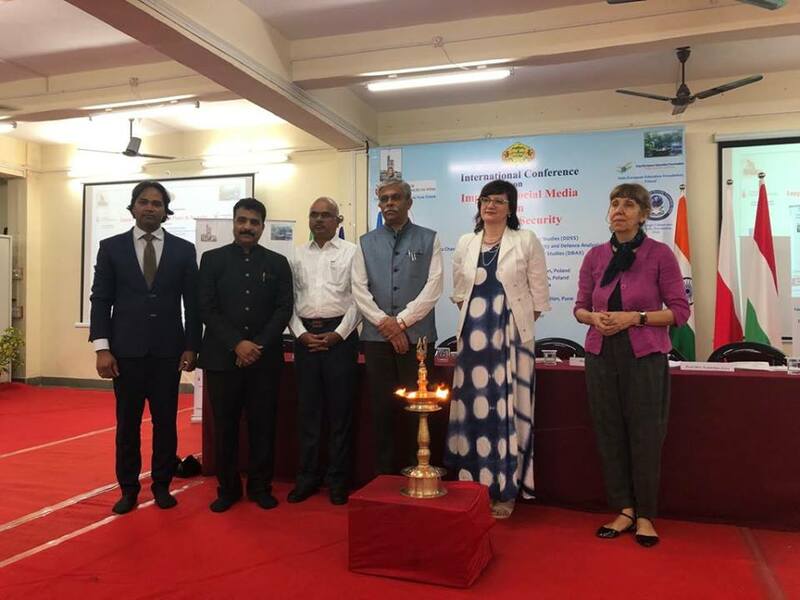 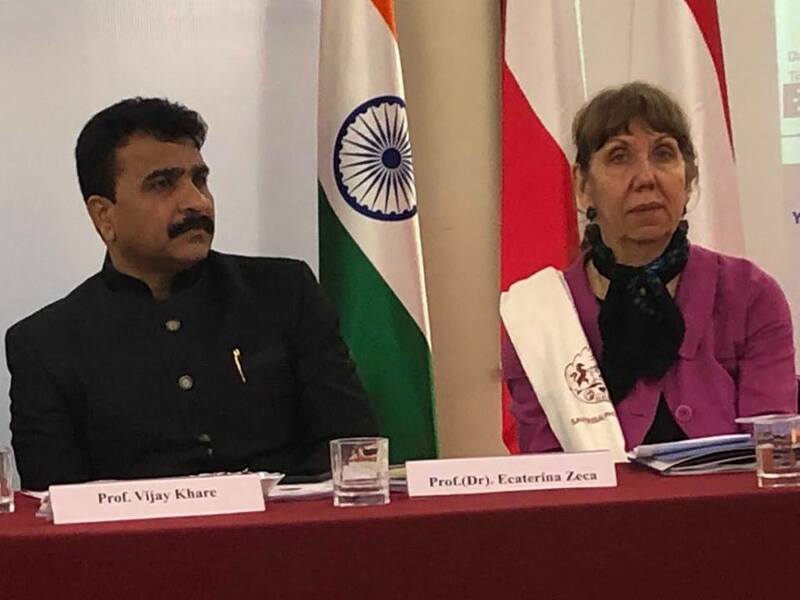 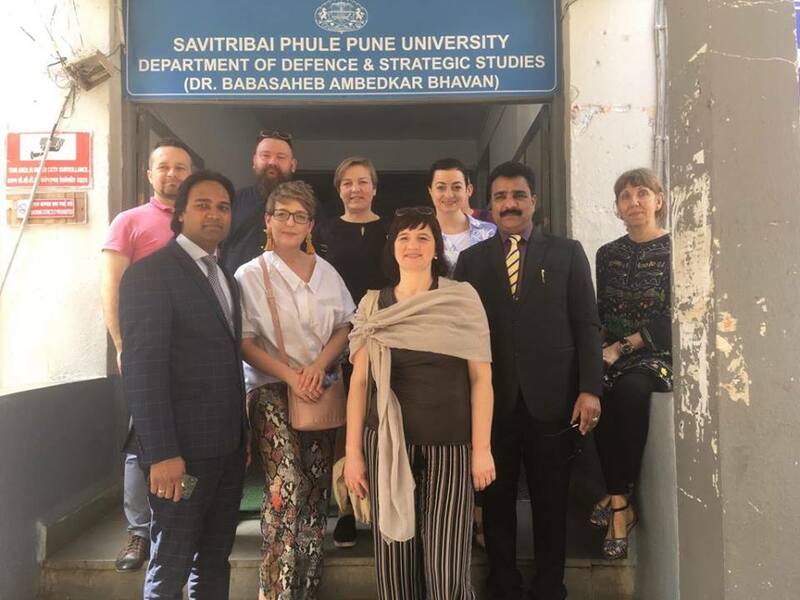 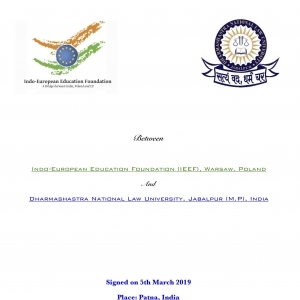 The other Guests of Honour were Dr. Pradeep Kumar, President, Indo-European Education Foundation (IEEF), Poland and Dr. Anna Opalka, Head, External Relations Department and International Cooperation Office at University of Applied Sciences, Nysa, Poland, Coordinator, IEEF. 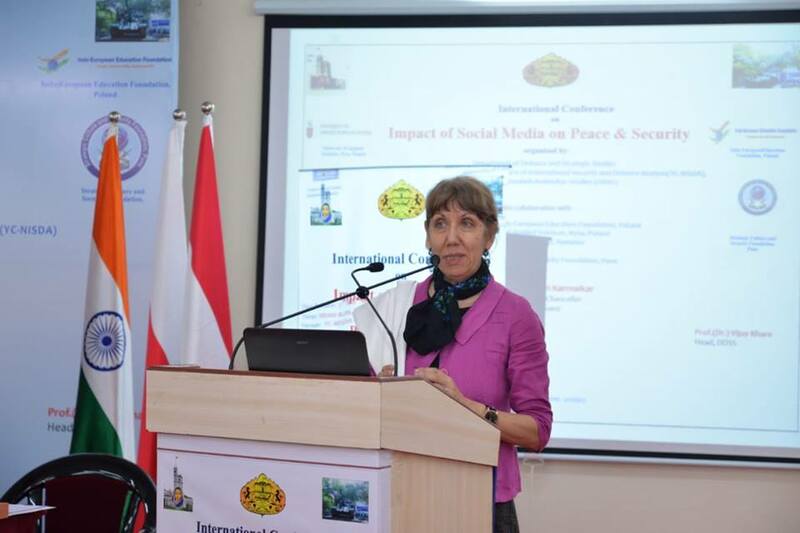 The Key Note speaker was Dr. Ecaterina Zeca, University of Galati, Romania. 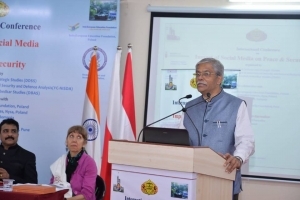 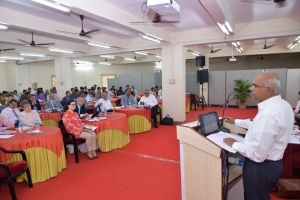 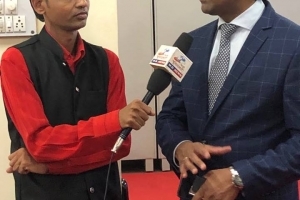 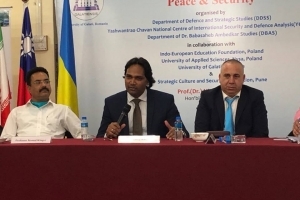 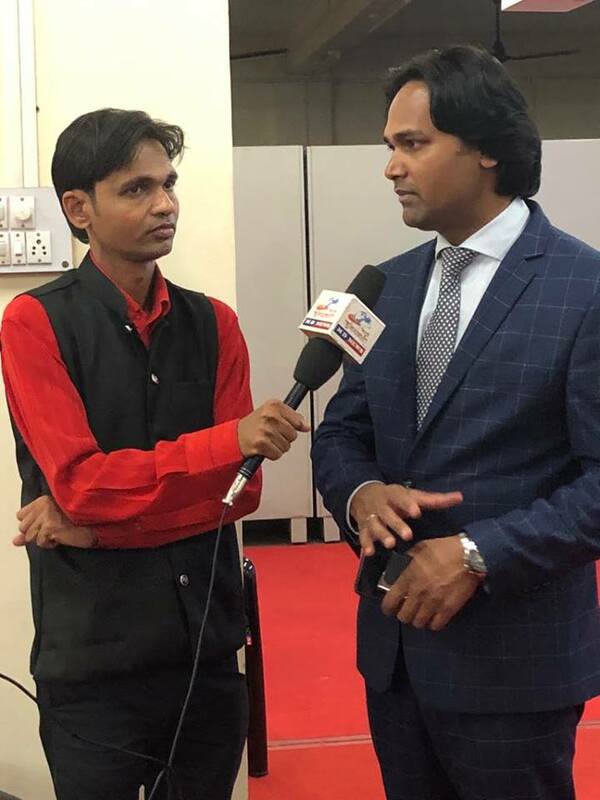 Prof. (Dr) Vijay Khare, Director for International Center, Savitribai Phule Pune University, and Dean of Department of Defence and Strategic Studies (DDSS) were the host and conference convener.